Gianfranco Ferré, who became one of the biggest names in Italian fashion during the 1980s and 1990s, was born on this day in 1944 in Legnano, a town in Lombardy north-west of Milan, between the city and Lake Maggiore, where in adult life he made his home. Ferré was regarded as groundbreaking in fashion design in the same way as Chanel and Yves Saint Laurent in that his clothes that were created with real people rather than catwalk models in mind, yet without compromise in terms of aesthetic appeal. At the peak of his popularity, his clients included Sharon Stone, Elizabeth Taylor, the Queen of Jordan, Paloma Picasso, Sophia Loren and the late Diana, Princess of Wales. Ferré first trained to be an architect, placing emphasis on the structure of his garments in which strong seams were often a prominent feature. He was once dubbed the Frank Lloyd Wright of fashion, which was taken to be a reference to the powerful horizontals in his designs. His staff addressed him as "the architect". He was also well known for inevitably including variations of white dress shirts in his collections, adorned with theatrical cuffs or multiple collars. At one point, Ferré blouses were an essential in the wardrobe of high-flying career women. 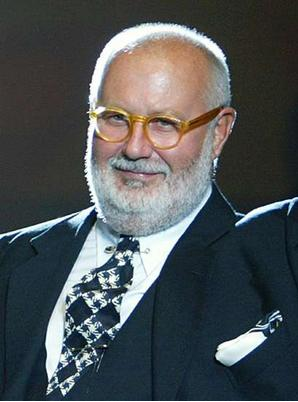 Ferré won the Italian fashion industry's 'Oscar' - the Occhio D'Oro Award - six times and became the first designer from outside France to be made artistic director of Christian Dior in Paris, for whom he worked between 1989 and 1997. From high school in Legnano, Ferré moved to the Politecnico di Milano University, where he graduated with a degree in architecture. His first job was in the design studio of a furniture company but amused himself by designing accessories for a girl friend that were noticed by the owners of a boutique in Portofino, who asked him to design for them. After a period working for a rainwear company, he founded his own company, Baila, in 1974, and four years later in 1978 founded his own fashion house in the Brera district of Milan with his friend and business partner, Franco Mattioli. He launched his first collection of pret-a-portér (ready-to-wear) clothing for women, which was followed the same year by a more sporty line, Oaks by Ferré. His first man's collection was released in 1982 and added a perfume range in 1984. On leaving Dior, he returned to full-time to working on the Ferré clothing and accessory lines, which by now had substantial export sales in the United States. But he and Mattioli fell out over the direction of the company and in 2000 they sold 90 per cent of Gianfranco Ferré SpA, although Ferré stayed on as creative director. Ferré died in 2007 at the age of 62, a few days after being admitted to hospital in Milan, having suffered a massive brain hemorrhage. A big, bear-like figure, nonetheless always beautifully dressed in one of his trademark three-piece suits, he had always struggled to control his weight and had had at least one stroke previously. He was buried in his home town of Legnano after a funeral attended by giants of the fashion world, including Giorgio Armani, Valentino Garavani and Donatella Versace. 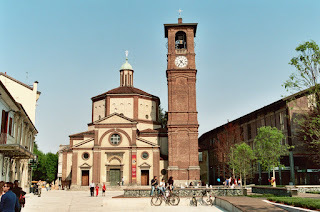 Legnano is famous for being the only town, apart from Rome, to which reference is made in the Italian national anthem, thanks to the historic Battle of Legnano, in which the Lombard League inflicted a heavy defeat on the forces of Emperor Frederick I Barbarossa in 1176. Almost 700 years later, Garibaldi referred to the battle as an inspiration in the struggle for unification of Italy. The 16th century Basilica of San Magno, where Gianfranco Ferré's funeral took place, is the town's most important building. 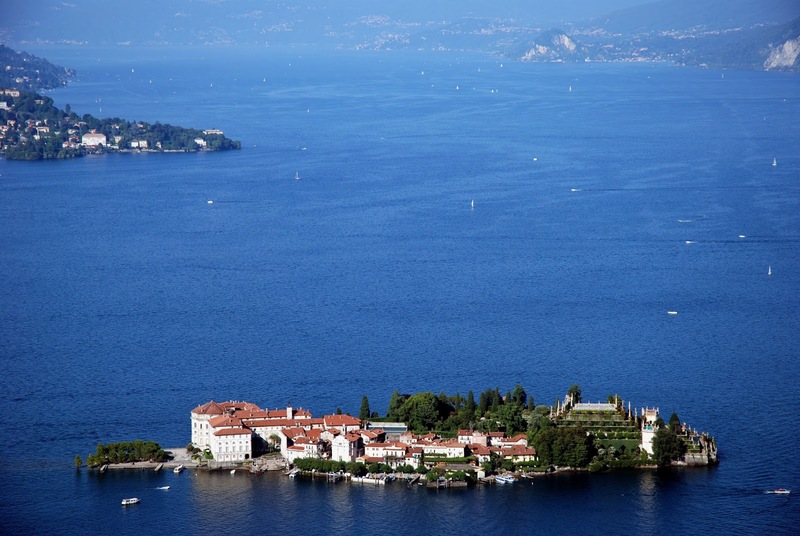 Lake Maggiore is the largest lake in Italy at some 34 miles (64km) long, its most northerly extremity extending into Switzerland. 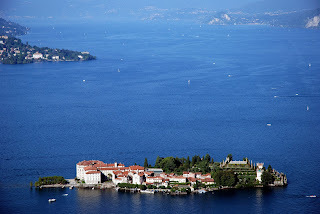 While the upper end is of alpine character, the lake in general enjoys a mild climate all year round and is famous for the greenery of its surrounding terrain and for its gardens, many growing rare and exotic plants, in particular those located on the Borromean Islands and Isola Bella.